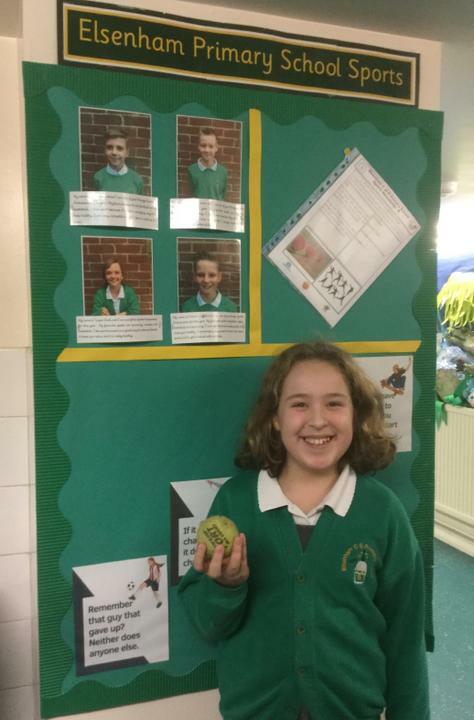 Year 5 pupil Kaja has picked up a gold medal in the School Games 2019 for her catching and throwing skills. The ten-year-old competed in the Uttlesford School Sports Partnership against schools throughout the district, along with other pupils from Elsenham Primary. Year 2 children needed to see how many times they could skip with a skipping rope within 60 seconds. Whereas Year 5 had to throw a tennis ball against a wall for one minute, catching with alternate hands. Kaja proved to be the best in the contest for her age. PE lead Mr Molyneux said: “All of the children from our school got a lot out of the contest and it was good to see great sportsmanship demonstrated by all our pupils. The contest aims to inspire children to take part in competitive sports.